One of us needs to win this teapot! When I saw on Facebook that my tea friend Denise P. had posted a link to Teatime Magazine's giveaway of this gorgeous Herend Blue Garland Teapot, I immediately entered, and it occurred to me that some of you may wish to enter, too! There are just two days left in the giveaway, but if you do wish to enter, go here to find out how you can win. I know Herend porcelain is expensive, so I looked on their website and found this teapot retails for $335. So if I were to win it, this teapot would definitely be the most expensive one in my collection. And if one of you wins, I think you should invite Denise and me over for afternoon tea. Okay? But whether you do or not, good luck! It struck me years ago that history is really just the news in reverse, so it's no wonder I enjoy reading the history of anything and everything. Tea history in particular is fascinating to me because it's a lazy way I've learned about geography, biography, economics and more. 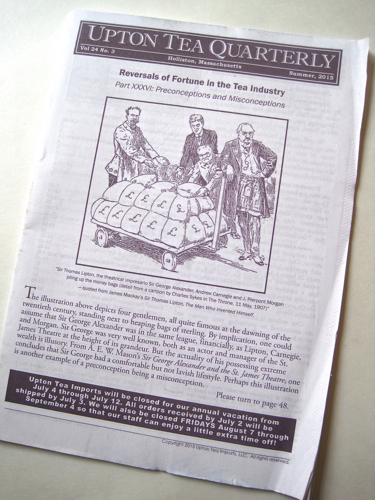 The new Upton Tea Quarterly continues its series titled "Reversals of Fortune in the Tea Industry" (this is part 36! ), and this time, I learned more about Sir Thomas Lipton's ongoing quest for the America's Cup in 1902. That was Lipton's third try for the prize, and it had not occurred to me that his personal quest was a source of concern to the American yachting set for a fairly obvious reason: "Most yachtsmen directly involved sat on boards of large companies and had families and, of course, their own yachts to attend to and were not willing to spend every summer defending the Cup." Sir Thomas had all his tea fortune at his disposal and no family, so I have to wonder if he would have made three attempts at winning the America's Cup had he not been a bachelor—or a tea magnate. As a former journalist, I was most intrigued by the Upton Tea Quarterly article since it revealed that "reform journalists" had begun focusing on the "conspicuous wealth" of people like Sir Thomas Lipton. The article quoted one book about the Gilded Age that noted, "By 1900 middle-class Americans were responding to two challenges to social stability. One was the control of political and economic life by big business. The other was the unrest and discontent among the lower classes, especially factory workers and immigrants. … In 1896 Charles B. Spaur estimated that one percent of the population owned more than half of the total national wealth." Now does that sound as familiar to you as it does to me? I find it most intriguing that "the one percent" was just as much of a concern in the late 1800s as it is today. I believe most hardworking people don't begrudge others their wealth, but they do want a just and fair system and one that takes care of the disadvantaged and poor. Precisely how we arrive at that perfect formula is always the question! So if you're interested in this sort of social history, click here to read the article for yourself. 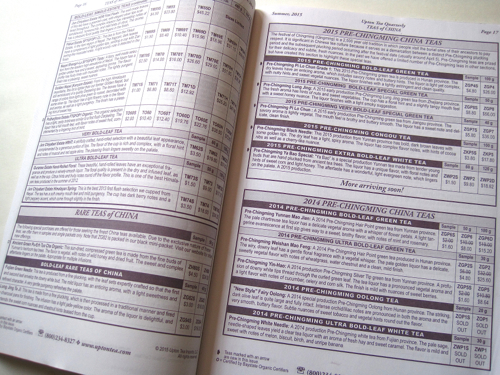 And if history's not your cup of tea but tea is, well, I still recommend reading the Upton Tea Quarterly because you can learn so much from its pages and pages of tea descriptions! Tea at the beach … quite a few years ago! 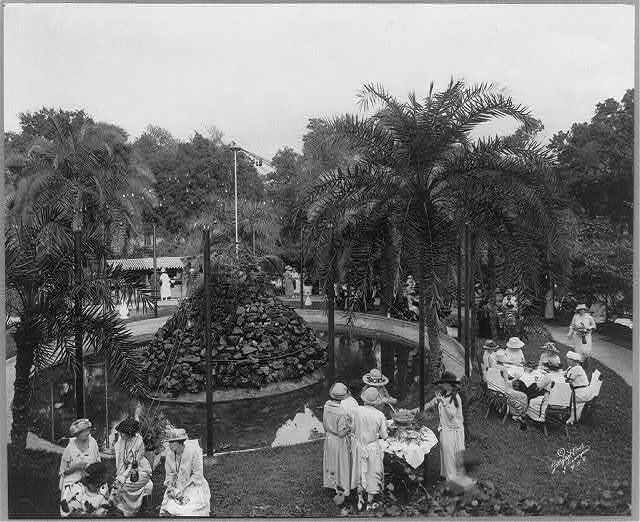 The Library of Congress has again turned up a jewel of an old teatime photo, and this one is from the Jewel Box Tea Garden in Tampa, Florida, taken October 19, 1923. I was a little concerned about the women wearing long-sleeved dresses and hats at an outdoor tea in Florida until I realized the tea was held in October. That not only made it okay but also made it seem like quite a lovely idea! The summary on the Library of Congress website says simply, "Women having a tea party around fountain." I was trying to learn more about this tea garden when I came across a postcard of a similar scene, only this one is tinted. You can check it out here and note the particularly *interesting* outfit one of the women in the foreground is wearing! Another website revealed this tea party scene was staged in "Plant Park,"which was an attraction of the Tampa Bay Hotel. The word "Plant," I learned, doesn't refer to horticulture but to Henry B. Plant, a railroad magnate who built this luxurious hotel in the sands of Tampa in 1891. Since 1933, the Tampa Bay Hotel has been home of the Henry B. Plant Museum and the University of Tampa, and the building is a National Historic Landmark. This definitely looks like a place to visit for anyone traveling in the Tampa Bay area! 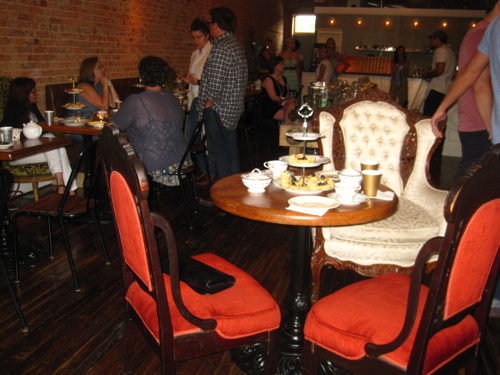 Last night, I had the pleasure of attending a preview event for Tipple & Rose, a Tea Parlor and Apothecary in the Virginia-Highland neighborhood of Atlanta. This is one of the seating areas that you see when you enter. 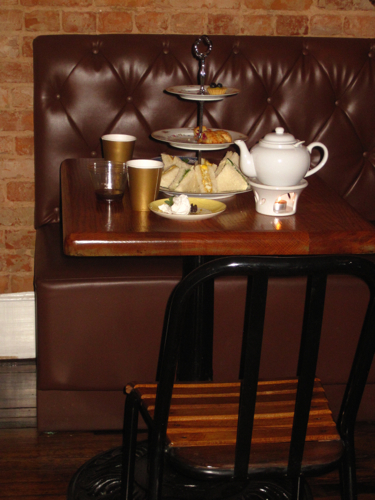 The place definitely has a nice hipster vibe and is not at all your little-old-lady type of tea room, and I loved it! 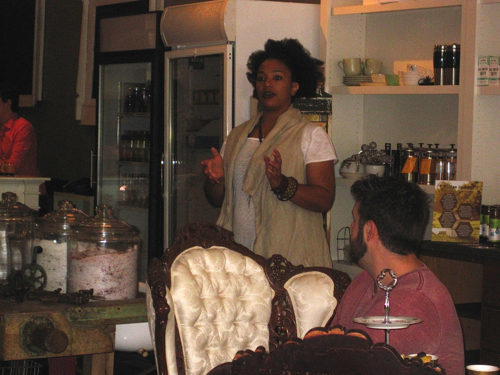 Here, Doria Roberts shares some of her vision for the tea shop, which she says is still in the "soft opening" phase for the next two weeks or so. 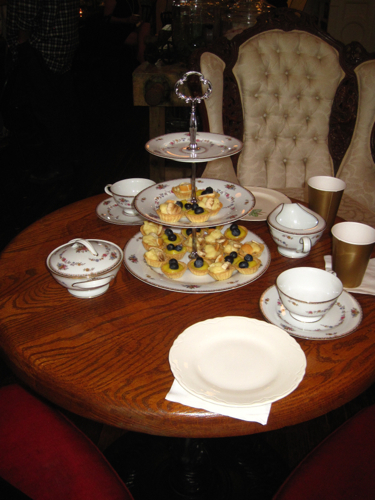 Tea trays and pots of various teas were lined up for guests to enjoy! 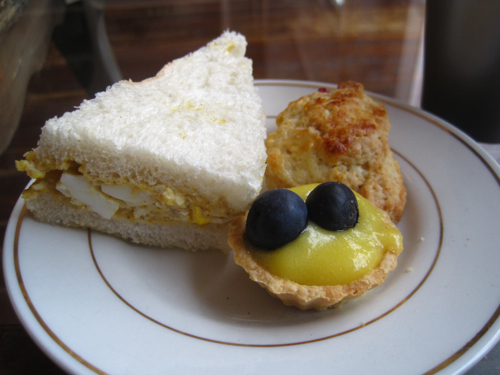 I sampled an egg salad sandwich, a fruity scone (great texture and flaky crust), and a lemon tart, all just delicious! 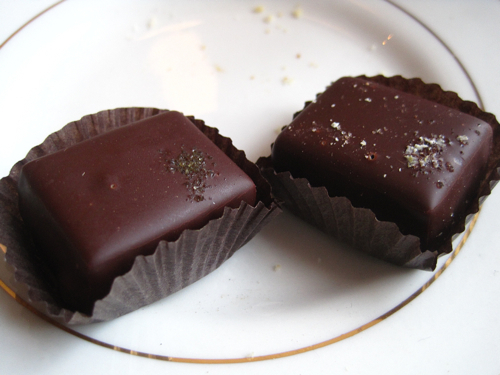 The shop is sourcing a lot of its products and merchandise from local vendors, including these delicious chocolate truffles my friend Ashly and I tried, mine with tea and ginger, hers with lemon and basil. The place had a very comfortable, unstuffy feel, and I can't wait to go back for afternoon tea, which they will be offering soon. 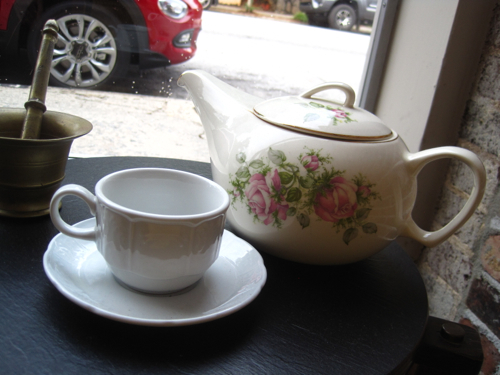 A number of vintage teawares were placed about the shop, including this pretty teapot near a front window. 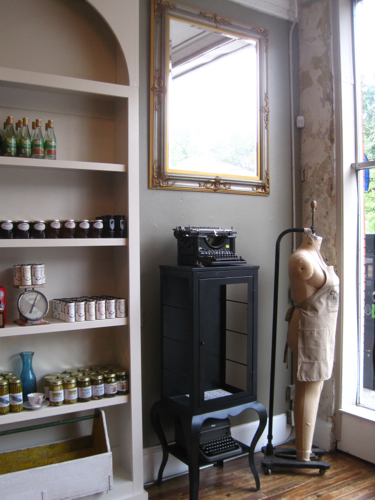 I just love all the "rescued" and "reclaimed" pieces used in the shop, including these vintage typewriters and mannequin. 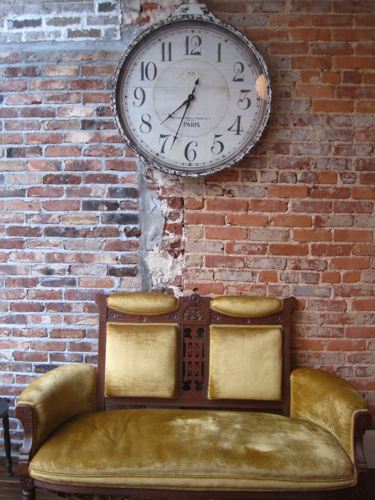 There is certainly lots of eye candy for those of us who love all things vintage! It looks as though they'll have a great selection of teatime treats as well. 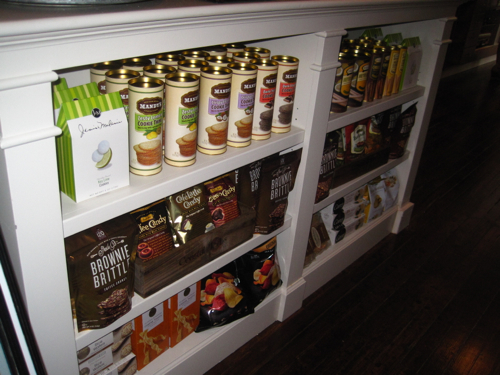 They also have a nice selection of bath and body products, and all their lines seemed very carefully selected with an emphasis on health and natural ingredients, which I expect will make them a popular shop once word spreads of all that is available there. Everyone seemed to enjoy the easygoing atmosphere at the preview party, and my friend and I certainly did. If you're in the area or would simply like to be, you can find out more about Tipple & Rose on Facebook. I plan to book afternoon tea there very soon! 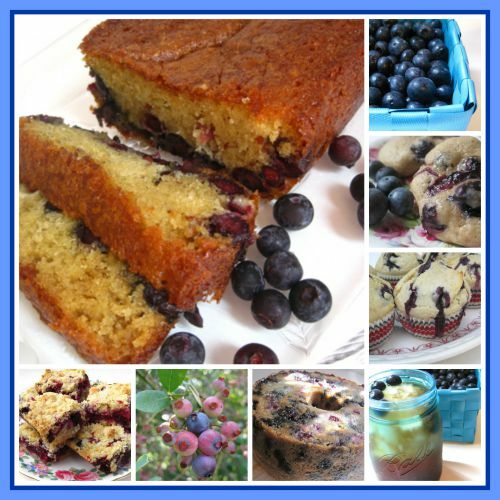 Blueberry Tea Bread … and other blueberry treats! My dad has been sharing the bounty from his garden once again, which means green beans, okra, tomatoes, cucumbers, squash, and the sweet treat of yummy ripe blueberries! This weekend, I was in the mood to experiment with some blueberries and once again used Greek yogurt in place of sour cream in a tea bread. The result was a moist and spongy tea bread, a perfect light, fruity treat with my afternoon cup of tea. 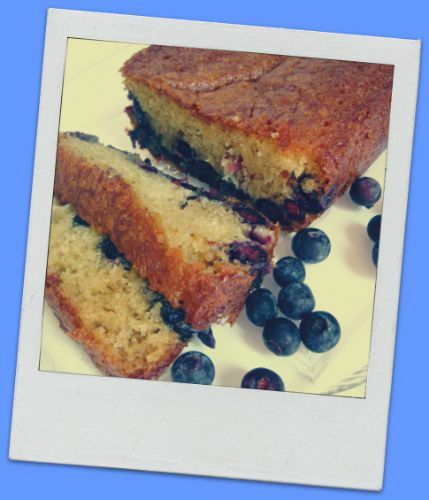 Here's the recipe if you'd like to try it for yourself, and below are links to some other blueberry treats in case you, too, are in the mood to bake with blueberries! Megan couldn’t believe how rested and refreshed she felt. That had to have been the best night’s sleep in the history of, well, ever. She opened the sliding glass door and looked out at the landscape she’d been too preoccupied to check out when she’d first arrived. She’d never seen grass so green, skies so blue, or clouds so magnificently white. She stepped out onto the patio and inhaled deeply. She looked toward the ocean—or what she thought was the ocean. It was too brilliantly aquamarine to be a lake, yet she could see across it to the massive homes on the other side. Maybe it was just some secluded bay. She had so many questions. Aunt Abby was already here? Megan hadn’t seen her aunt in twenty-something years and wondered what she was like now. 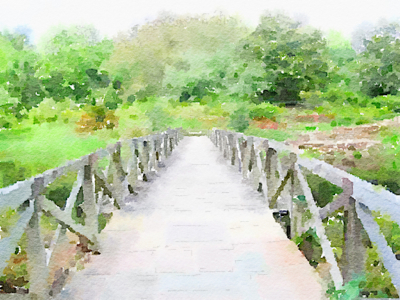 Not wanting to waste another second, she slipped out the sliding glass door and headed across the bridge. Again, Megan inhaled the sweet air and marveled at the fragrance. Gardenias? No. Lilies? Not exactly. What was that sweetness in the air? She would have to ask her aunt. Near the end of the bridge, Megan looked for some sign of which way to go. Megan looked up and saw her favorite aunt. “Aunt Abby!” Megan ran to her, and the two embraced. Megan hoped she wouldn’t end up crying like a blubbering fool but then realized she no longer wanted to cry. Megan had to laugh. There was quite a bit to catch up on! She couldn’t help gazing at the stunning table before her. She looked around to see who had set up such a gorgeous scene, but no one appeared. The table and two chairs were made of what looked like fine gold, the tabletop ringed with sparkling gemstones. Again, Megan had the sensation that things were different here. The teacups and saucers were enchanting, made of a combination of glass and the sheerest, most pearlized porcelain she’d ever seen. Yet Megan couldn’t detect a seam. She ran her finger around the exterior of the cup, searching for the spot where the two materials were joined, but found nothing. It wasn’t possible for something to be made of both porcelain and glass, was it? “That's the mango tea,” Abby said. “You always said it was a shame you had to choose a single tea in your teacup, so now you don’t have that limitation anymore.” Megan looked astonished, but Abby simply grinned. It was always fun to have tea with new arrivals. The wind whistled softly, and flying in on the breeze was an exquisite four-tiered server. Like the teacups, it was made of porcelain and glass. The sandwiches, savories, sweets, and a mysterious fourth tier of treats were absolute works of art. The cucumber on the sandwiches—or what looked like cucumber—had been carved into a rose, complete with ruffled petals and even leaves. But cucumbers couldn’t be carved so intricately. Megan looked puzzled. “No, it’s not a cucumber,” Abby said, amused. Megan laughed as she hugged her beloved terrier, then she heard some voices nearby. She looked up in time to see a man and woman walking by and sharing jokes. “And she was talking with—"
Megan shook her head. She couldn't quite comprehend all the surprises of this new place. Before her sat a beautiful pedestal cake plate bearing the most luscious chocolate dessert Megan had ever seen. “Gold leaf? Seriously?” she asked. Megan laughed, her heart so full she could hardly stand it. Abby stood and held out her hand. So, who are the kombucha fans among us? Kombucha is a fermented tea drink some like for its supposed health properties. There's some debate about whether such claims are true, so when I drink kombucha, it's purely as a novelty. 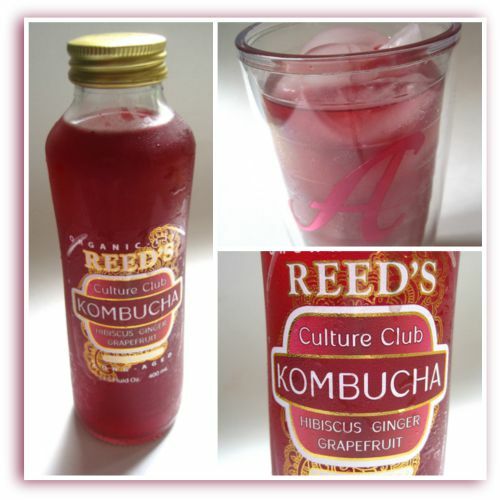 This week, I found this Reed's Culture Club Kombucha on clearance at Kroger, and after I got those old eighties Culture Club hits out of my head ("Karma Chameleon," anyone? ), I was able to ponder whether a Hibiscus Ginger Grapefruit flavor of kombucha was a good idea. I decided it might be. And I have to tell you that this was the most delicious kombucha I've ever had! It was fizzy and tart and with just a trace of the peppery warmth of ginger. The ingredients include live organic kombucha (spring water, organic cane sugar, organic oolong tea, organic yerba mate tea, kombucha culture), organic hibiscus, organic fresh ginger root, and organic pink grapefruit juice, and the drink is free of preservatives, gluten and GMO’s, which I suppose makes it safe for just about everyone. Sure hoping Kroger has some of these left next time I stop by. And meanwhile, here's a link if you'd like more info on this tasty drink! 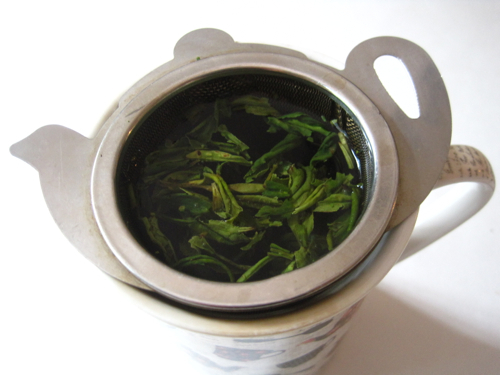 Years ago, I interviewed a Yale researcher who had done some studies regarding green tea and cancer prevention and treatment. At the time, I didn't much care for green tea and told him so. He told me to drink it anyway because it was good for me. 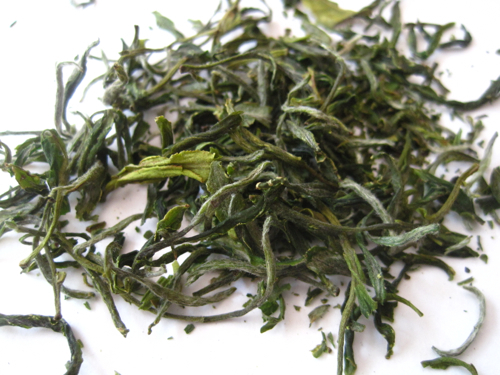 I've never forgotten his advice, so I was only too happy to accept some new green tea samples from Teavivre recently. 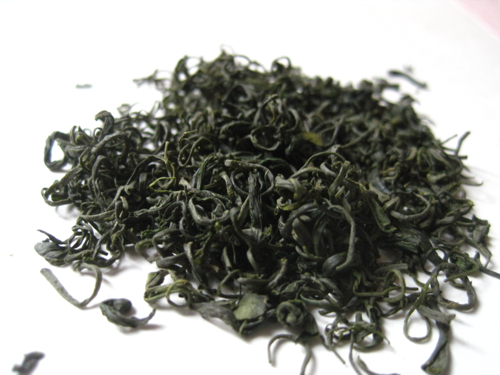 The first one I tried was this Premium Huang Shan Mao Feng Green Tea. The dry leaf had a slightly floral fragrance. 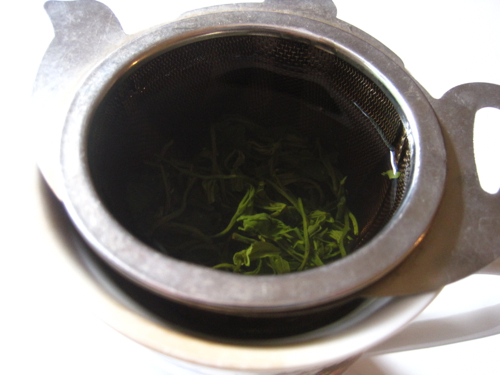 Steeped, this tea's scent reminded me of steamed asparagus. I steeped the tea on the low end of the time range, just three minutes, and it didn't really have much of a taste. It seemed as if it *wanted* to be a broth-like tea, but perhaps I simply hadn't steeped it long enough. So, I tried steeping the tea again for about 4-1/2 minutes, and I liked it much better that time! The tea had a much richer, bolder taste, with no astringency, and I'm glad I gave it another try. The other green tea I tried was this Lu Shan Yun Wu Green Tea. The dry leaf looked like miniature curls and smelled almost but not quite musky, and when I steeped the tea, I thought it smelled like buttered popcorn! When I sipped this tea, it had a distinctive and rich green tea taste, bold and with just a bit of astringency after 4 minutes of steeping. I enjoyed it very much and even had some with my supper one evening. And if you're curious about what the National Cancer Institute has to say about the benefits of drinking tea, click here and it may encourage you to drink more green tea yourself! 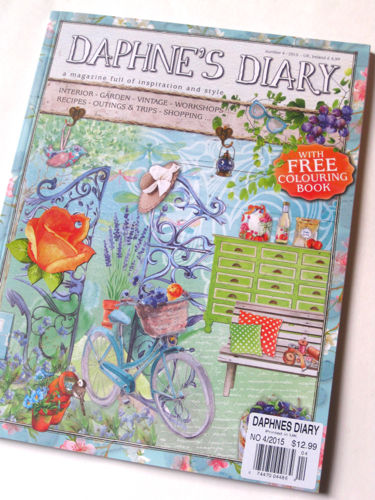 Count me among the U. S. readers ready for Daphne's Diary to start offering subscriptions to those of us here in the states! I found a nice big stack of the new issue at Barnes and Noble this week, so apparently I'm not the only local fan of this magazine. 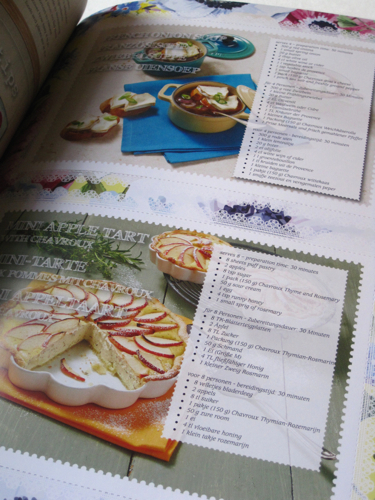 The recipe cards this time feature a French Onion Soup and a Mini Apple Tart. I had not thought about making individual-size tarts for teatime, but wouldn't these be lovely little treats for fall! 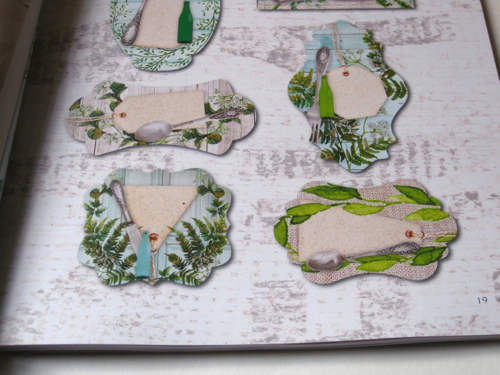 The papercrafting pages this time were plenteous, and I loved these little tags featuring old silverware. I can picture many uses for these tags! 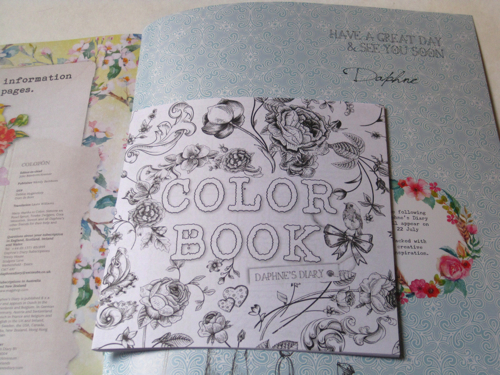 This poem begins, "Tea with a cherry bun, Sitting under the warm sun, Listening to children laugh and shout, As they play and run about …"
I'm not sure I have much time to color, but can you guess what caught my eye in the Daphne's Diary coloring book? This is yet another great issue … but then, aren't they all? 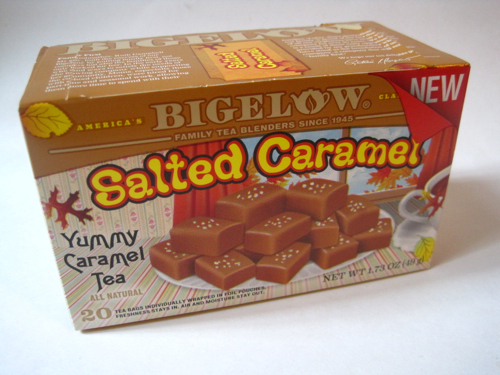 Last week, I ran by one of our smaller supermarkets, Little Giant Farmer's Market, to save time, and while I was zooming down an aisle looking for something, I spotted this new Salted Caramel Tea from Bigelow. I was frankly surprised to see this tea in such a small grocery store, but naturally I had to get a box to take home and try. Salted caramel is one of those flavors that really seems to be in the spotlight these days. I've seen salted caramel brownies, salted caramel ice cream, and lots of other salted caramel-flavored things — but not tea. 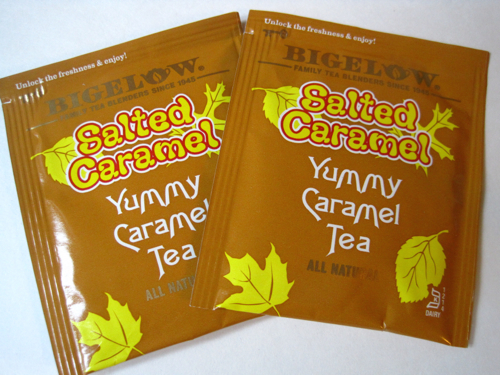 Could you really experience a salted caramel flavor in a tea? Why yes, yes you can! The tea smells very caramel-ish when you open the tea bag, and I was pleasantly surprised to detect caramel flavor with just a hint of salt. 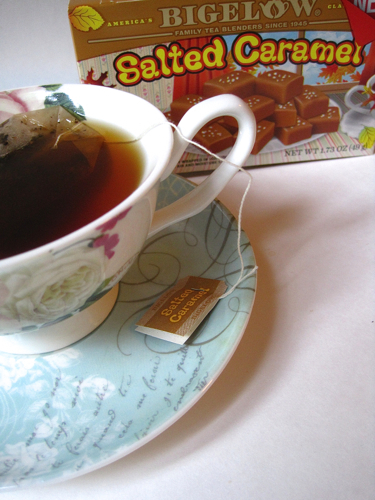 The tea bags say "Yummy Caramel Tea," and I have to say that I agree. Have any of you tried this new tea yet? Sometimes, it's not the antiques I find but the stories behind them that I like the most. 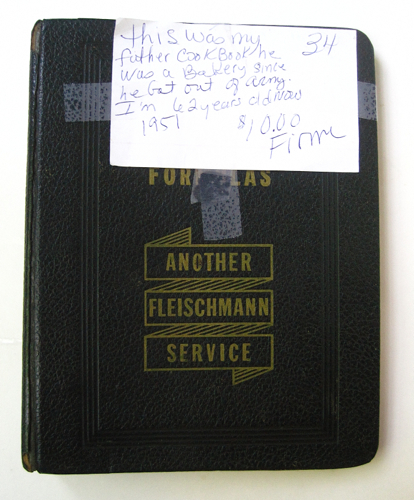 During a recent visit to an antique mall in Rome, I came across this old black notebook filled with recipes using Fleischmann's products, including yeast, which I had long associated with Fleischmann's, and egg whites and baking powder, which I did not! 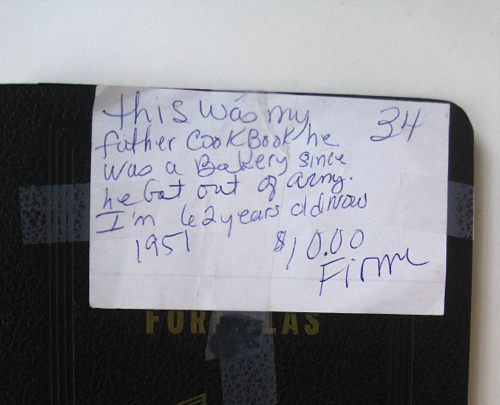 And while the vintage look of this binder is what made me turn the pages, I also enjoyed reading this note attached to the cover telling me that these old recipes had belonged to the 62-year-old seller's father. I decided immediately I was going to ask the salesclerk at the antique mall if I could keep the note if I bought the book. When I asked her, she actually looked rather sentimental because she happened to be the woman who wrote the note and her father was the baker! I explained to her that I sometimes write about old recipes, and I told her that her father's old recipes would be in good hands! She was just lovely, and in fact she asked for my phone number because she's got some more of his old recipes she'd like to give me, including a cake recipe she said I can have IF I can figure out the one ingredient she knows is missing! Apparently one ingredient was left out, and she's perfectly happy for someone else to try to figure out what that is. The recipe that caught my eye there in the store was for Orange Crunch Squares. I love orange-flavored treats for teatime, so that one recipe sold me on the book immediately. 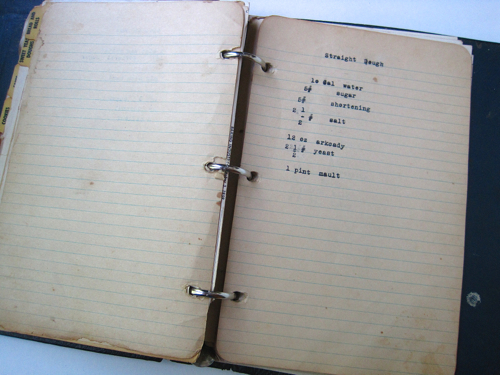 When I got home, I also loved seeing that the baker had typed up some of his own recipes in back. 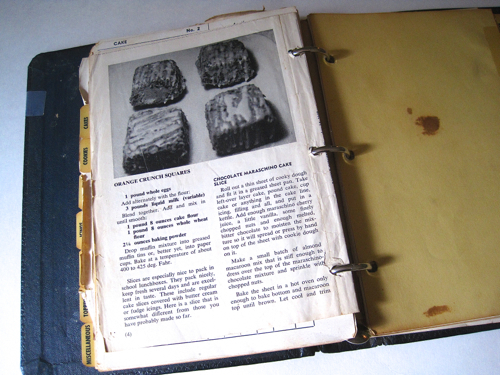 And when I started thumbing through the book, I paid attention and noted for the first time that these recipes are for production in commercial quantities, like this recipe for lemon treats that calls for 7 pounds of cake flour, 4 ounces of baking powder, 1 ounce of salt, 2 pounds of shortening and 4 pounds of sugar! Have mercy! So … while I fully intend to use this book and break down some of these recipes into "home baker" proportions, it may be a while before I'm ready to tackle those Orange Crunch Squares. 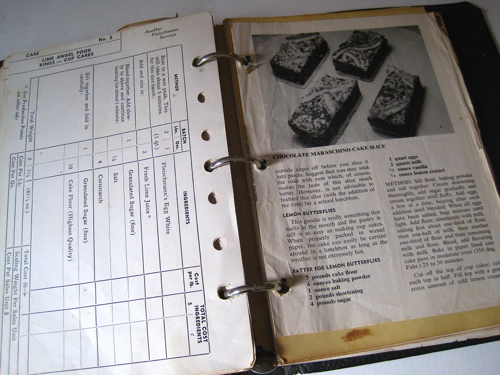 I'm still very pleased with my cookbook purchase, however, and love knowing a little about the man who once kept it. Come here. Lean a little closer. Shhh. I have a secret. Don’t tell everyone, but … it’s kind of fun being a teapot! 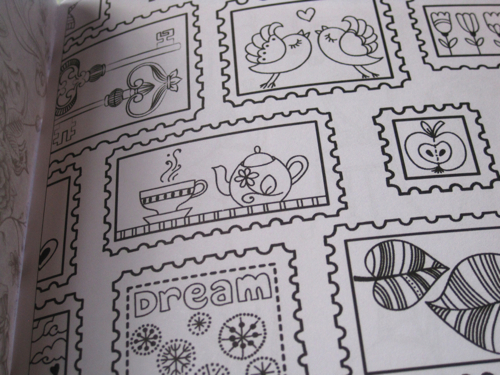 Several years ago, some lady came out with a book called If Teacups Could Talk. I thought to myself, “What do you mean if?” Everyone knows teacups can talk, but meaning no offense, who cares if teacups can talk? Bunch of amateurs. Now teapots, we are the ones who have something to say. 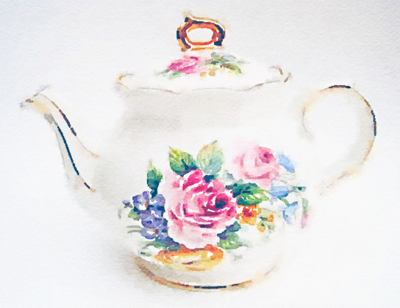 Teacups are like commoners, but a teapot is like the Queen. Think about it. You go to a tea party and everybody gets a teacup, but there’s usually only one teapot on the table. And oh, the stories I can tell! I have the best day job in the world. All I have to do is sit there and look pretty until I’m called up for “work,” and then I’m usually sitting smack-dab in the middle of a tea party, which is always fun. Why? First, my owner, Leslie, warms me up before she uses me. She rinses me out with a bit of warm water, and it’s like I’ve gone for a brief swim at some nice Caribbean beach. Makes me feel all ticklish inside just to think about it. Then, Leslie fills me with warm water to get me ready to serve. I always like that part best because it feels like I’m taking a nice, relaxing bath. If only I could get her to add a few bath salts, but I understand why she doesn’t. Last, she pours in the boiling water and adds the tea bags. Now not everyone is cut out to handle boiling water, but I am. I really strut my stuff then, letting those tea bags know who’s boss while they toss around inside me. Misbehaving tea bags are another story, and I don’t have time to get into that today. Once the tea bags are out, Leslie makes sure I don’t have any drips — kind of like a lady checking for lipstick smears — and takes me to the table. 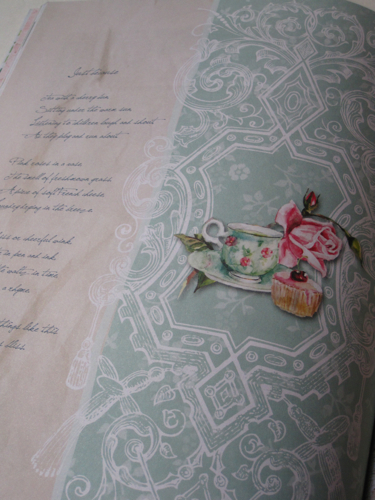 The things I have seen and heard at the tea table … You’d be surprised. Really, you would. Sometimes, it’s all sweetness and light. Maybe it’s a bunch of middle-aged friends getting together to reminisce about their high school days, back before they met Miss Clairol and had to sign up for Zumba classes, if you get my drift. Other times, a young bride or mother-to-be is the guest at tea, and I really, really enjoy those parties. You hear the best gossip, though, at the ordinary tea parties where it’s just a few close friends getting together for a gabfest. You want to know what I heard not long ago? You won’t believe this. Leslie was hosting a tea party for three of her girlfriends, and her friend Sharon was there. The other two friends were Diane and Grace, as I recall. I was watching all this play out from right there in the middle of the dining room table, keep in mind. You could almost hear the air whooshing out of the room. Fortunately, my owner realized her faux pas and soon got the conversation back on track. I never get an invitation in the mail as the other guests do, yet I must say I enjoy attending tea parties. You never know what you’ll overhear, and as a writer, I’m always looking for a good story idea. And although my job is simply to hold the tea, I have to tell you that I don’t mind admitting I sip a little of the brew myself once the others are served. Oolongs are my favorite, but at tea parties, I inevitably get asked to hold some fruity tea like strawberry or peach. Mango is my favorite of the fruit teas, in case any of you are wondering what I'd like for Christmas. When the tea party is over, I enjoy watching Leslie clean up and put everything back in order. I’ve heard some “experts” say not to use dishwashing detergent in a teapot, but I personally think that’s a bunch of bunk. In America, you just don’t feel clean unless you’ve had a bath or a shower, and since I’m serving food, for Heaven’s sake, I think it’s more than fine when Leslie swirls a few of her Dawn soapsuds around inside me. Mmm. I’m getting that ticklish feeling again just thinking about it. And the next time you go to a tea party, you might want to be a little more careful with your conversation. You never know who might be listening! "Minions" — A review for tea lovers! 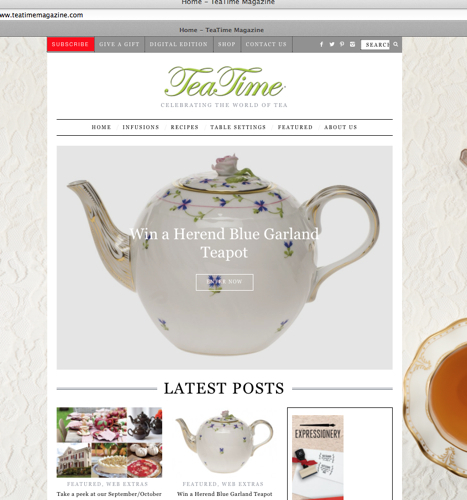 July Giveaway: A teatime oven mitt! "Tea time in the air"